The newsletter has gone out, so it should be in your inbox. I hope you all enjoy the included short story! Almost 2015, egads! A quick note that the final newsletter for 2014 will go out in approx fifteen or so hours, complete with a brand new free short story I wrote just for this time of the year. Happy Christmas Eve from New Zealand!! And happy celebrations to those of you celebrating in other ways. I received a Christmas card from my New Zealand publisher, Hachette NZ, and this was the postmark on it. I thought it was pretty neat to get something from Middle Earth. What's the most interesting place from which you've ever received mail or e-mail? It's been all Charlotte and T-Rex for me this week. My tbr pile is ginormous but I'm hoping to do some reading over the holidays. So many great books to choose from!! Hi everyone - don't forget to swing by the Under the Covers book blog and enter their #12 Days of Christmas Giveaway. I'm providing the prize, which you can see below. It should be international as I always ship worldwide. Good luck! Short excerpt available on the website - longer excerpt to come! 1. 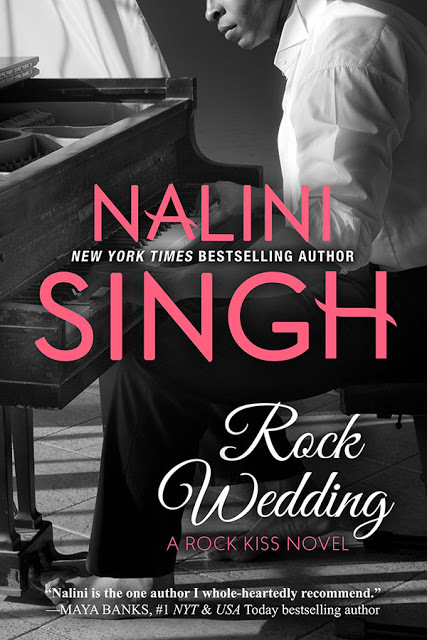 If you'd like to participate in the cover reveal for Rock Hard and/or would like to request a review copy, please fill out this form. 2. Review copies will also be available via NetGalley - I'll announce when that's available. 3. 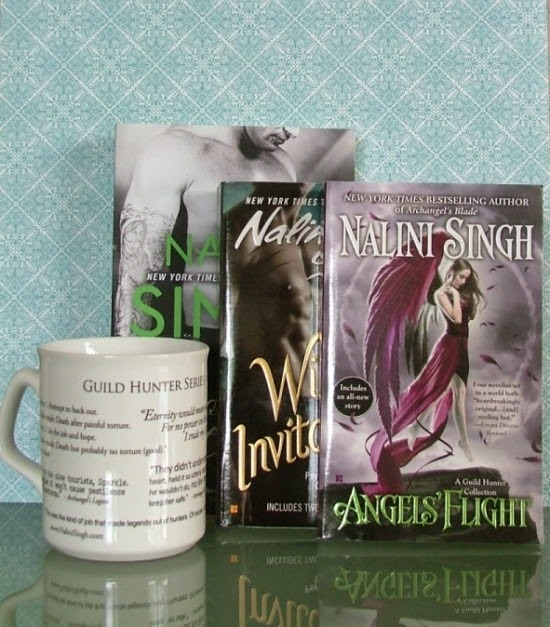 If you have an issue with the signup form, or if I've sent you a review copy and/or cover reveal info directly before, please feel free to email me (nalinisinghwritesATgmailDOTcom). I'm just keeping a list for now, so I may not respond until the cover reveal information packet/review copy is ready to be sent out. 4. 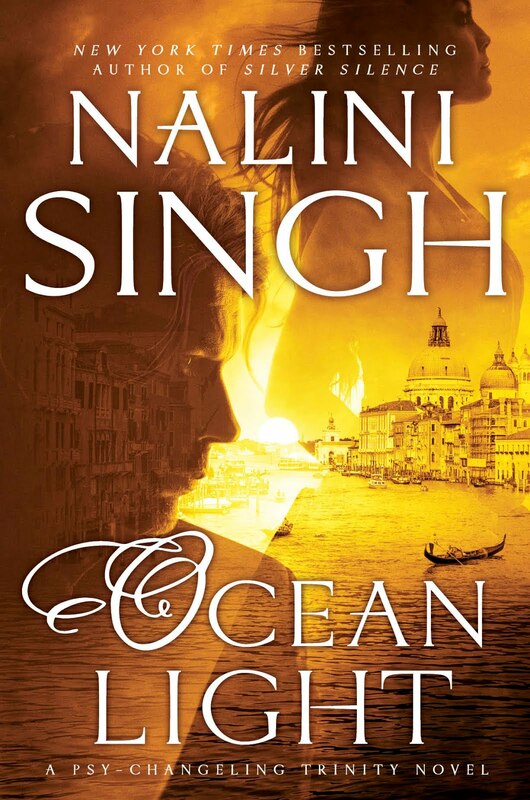 If you review only on Amazon and would like to request a review copy, email me directly (nalinisinghwritesATgmailDOTcom). Please include a link to your Amazon profile or to some of your previous reviews in your request. 5. Review copy approval will depend on the number of requests. I can't wait for you to read Charlotte and Gabriel's story. It's a romantic book with a wicked sense of humor to it, courtesy of the two leads, both of whom I adore. I emerge!! SHARDS OF HOPE is on its way to my editor. It's a *ahem* big book, but I should've expected that, given the fact it's the end of one story arc and the beginning of the next. I thought I'd put up the Friday Book Club while I'm having lunch. What are you reading and loving this week? Plan: Edit book down,delete some scenes. 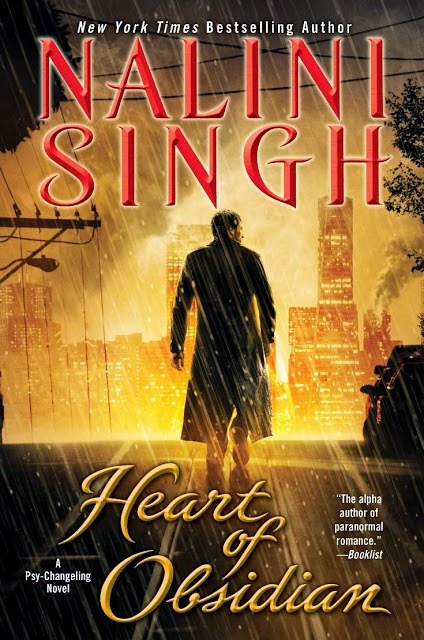 Cover Love: Shards of Hope!! 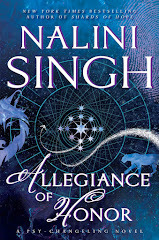 Look at this gorgeous cover!! I love it to pieces!! This time, even Aden's passionate determination may not be enough—because the emotionless chill of Silence existed for a reason. 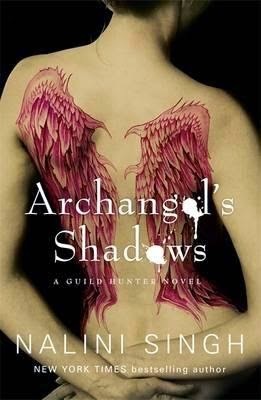 For the violent, and the insane, and the irreparably broken…like Zaira. I have an interview up at the Under the Covers Book Blog today where I talk about Secrets at Midnight, my writing process, and more. 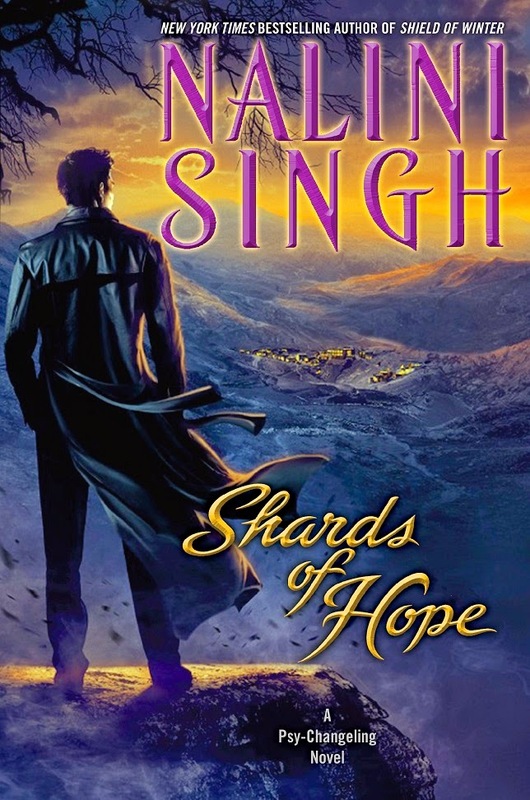 Also, if you missed the news, the Shards of Hope cover is scheduled to go live in about twelve hours. I can't wait for you all to see it! 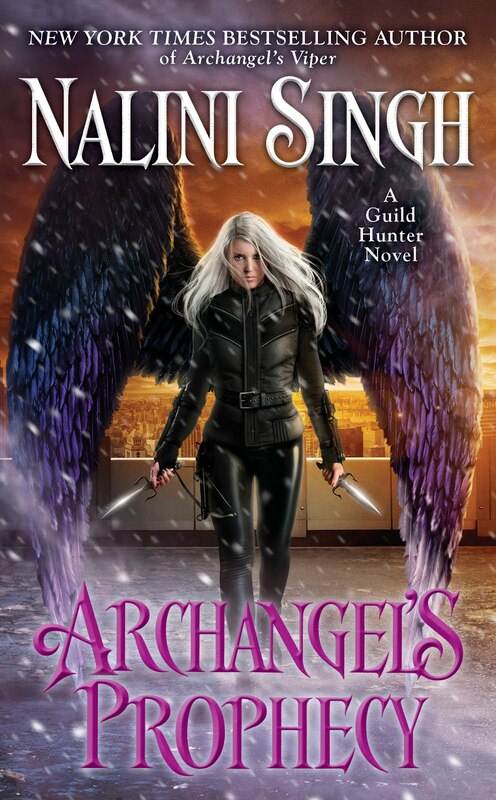 Archangel's Shadows is now out in North America!! Woohoo!! International readers - not long to go. Here's a new excerpt at Reading Between the Wines as we count down to your release date of November 6th! The newsletter also went out a few hours ago with a free Guild Hunter short story, plus a new Rock Courtship memo. Enjoy! 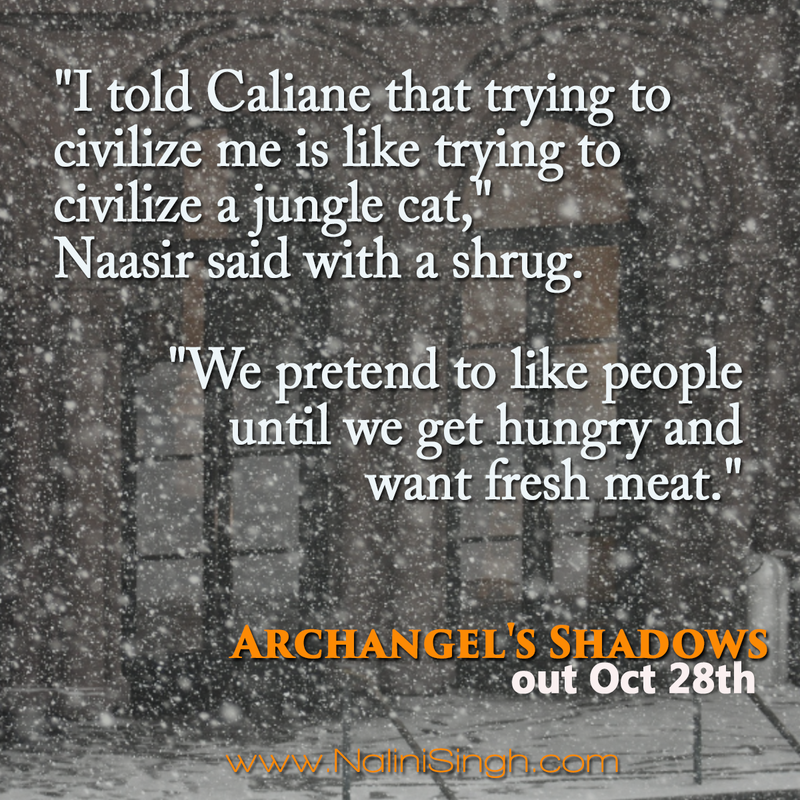 Counting down the hours till Archangel's Shadows is out!! Here's a bonus quote for you as we wait for the release! "Don't worry, cher." A lazy drawl that licked over her like a full-body kiss. "I can keep you in the style to which I intend you'll become accustomed." "Such dreams you have, sugar." She patted his cheek, to his grin, before reaching inside the car and to the footwell where she'd stored the gift Naasir had bought Elena. She couldn't wait to see the look on her fellow hunter's face. 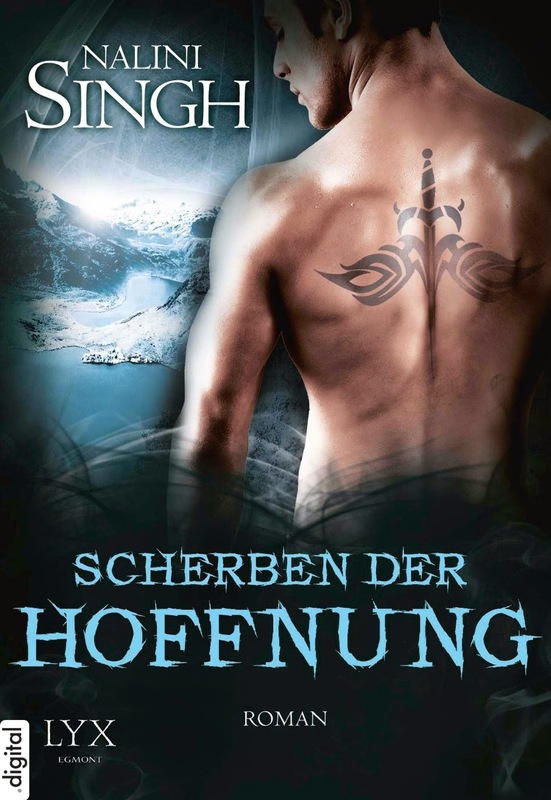 Hawke & Sienna's story is now out in French!! I hope you enjoy! Ash and Janvier's book is out on Tuesday!!!! 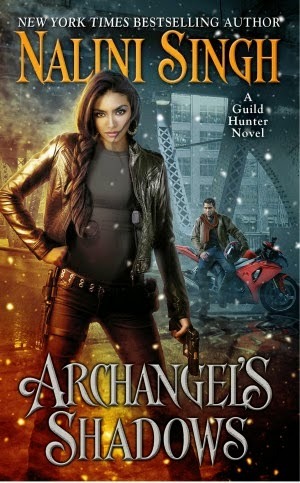 Here's a glimpse of when we first met them, back in Angels' Pawn. Hi everyone! I wanted to give you a heads up that my American/Canadian audio publisher has recorded "Knives & Sheaths" and "Zoe's Workshop" and you can download the audio of these short stories for free! Hello my lovelies! My Twitter chat starts in just under half an hour. 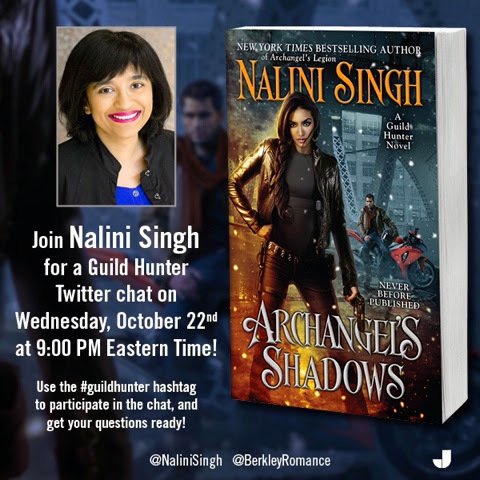 If you're on Twitter, the hashtag is #guildhunter. If you're not on Twitter, you can follow along at this link (make sure to click ALL at the top of the page, so you get all the tweets coming in). 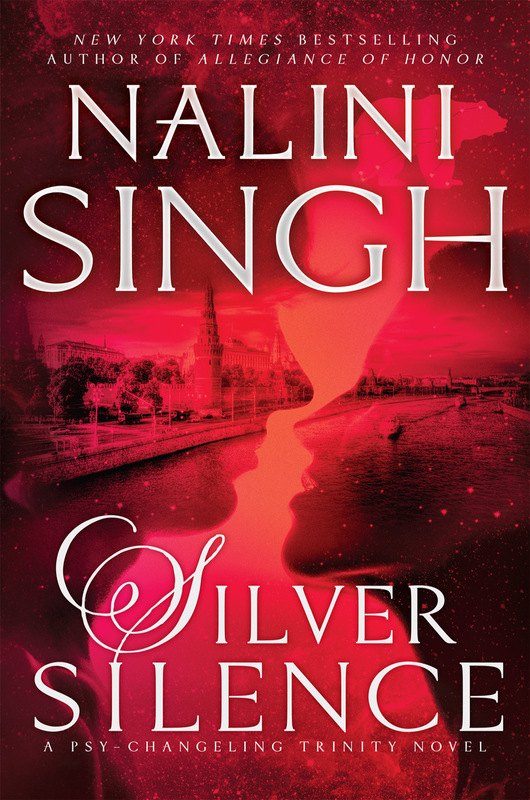 Ashwini and Janvier's story is almost here! *eep! * In the lead up to the release, I'll be doing a Twitter chat this week - even if you're not on Twitter, you'll be able to follow along on the thread. I'll post the link up once the chat goes live. Gather up your questions and see you there! Are you surprised? Excited? Did you guess who Aden's heroine was going to be? Discuss! 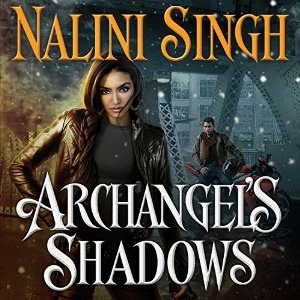 My US audiobook publisher is doing a Goodreads giveaway for audio copies of ARCHANGEL'S SHADOWS - US Only. Enter here. His grin was bright. “What’s a cuddlebunny?” he asked, genuinely curious. 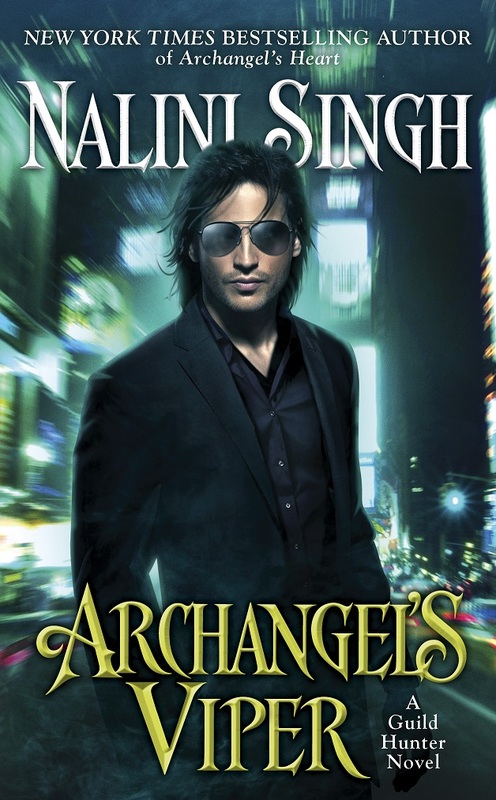 - from ARCHANGEL'S SHADOWS. 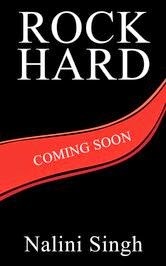 The Vampire Book Club is currently hosting a fun new excerpt from the book. Follow the link to read. I hope you enjoy! If you missed the full chapter excerpt, it's up on the website. Only 14 more days to go till Ash and Janvier's story releases!! Time to talk books!! What are you reading and loving this week? I just found out that ROCK COURTSHIP made the USA Today Bestseller list!! Thank you to each and every one of you who has supported the launch of this new series. You rock! And I'm going to write you all a new Thea & David memo for the next newsletter. (I also have something paranormal for the next newsletter ;-)). To join the newsletter, click this link. After filling in the form, you should get a confirmation link in your email. Once you click that, you'll get a Welcome newsletter with free short stories. Any problems, email Ashwini (naliniDOTassistantATgmailDOTcom - replace DOT/AT with . / @). Also, I'm now going to add my author photo to this post. Some of you might have noticed that when you search for me on Google, it shows you a picture of another person. The only way I can figure out to change that is to repeat my tagged author photo over and over! If any of you do reviews/posts about my books on your own blogs, feel free to repost my author photo. 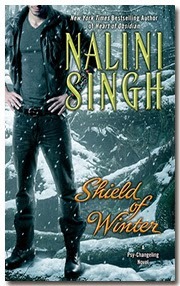 If you right click, you should be able to save it automatically as Nalini Singh Author. 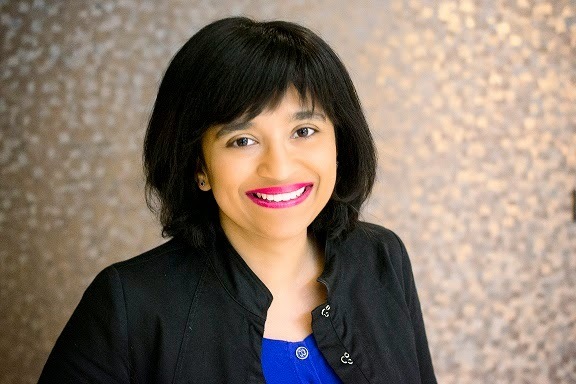 Hopefully it'll all help Google pick up the right Nalini Singh. Thank you! (You can also click on the photo that shows up on the Google search and send feedback saying it's the wrong person. No sign in required).